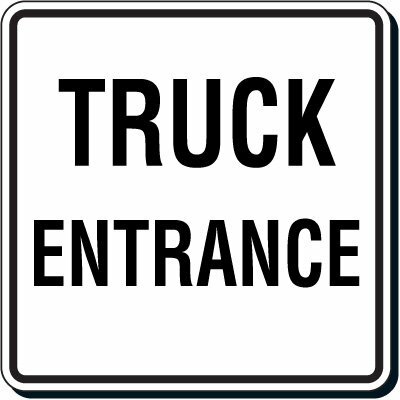 Entrance signs help customers, employees and business owners by ensuring that traffic is properly directed in your building or facility. These signs keep traffic flowing in the right direction and allows owners to easily keep track of who is entering the property. 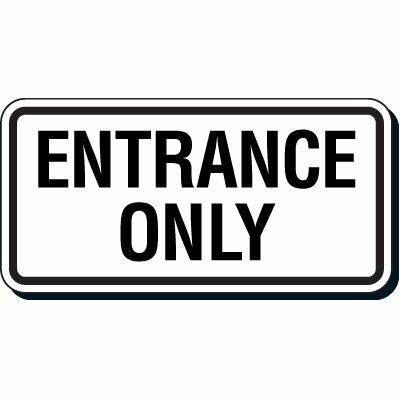 Entrance Only signs, which are often used for parking lots, are also a big help to security personnel since these allow them to focus on specific entry points, making it easier to spot suspicious looking individuals. 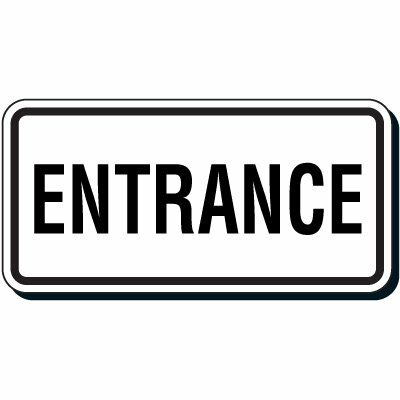 Like other signs, Entrance signs need to be mounted properly for these to be visible to everyone who needs to enter the premises. Choose the right mounting hardware for the area that your signs will be installed on in order to ensure that these do not fall off or get stolen. 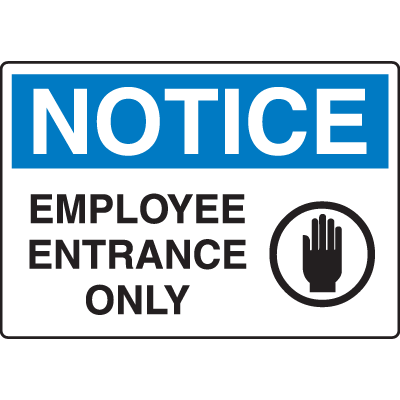 Entrance signs ensure that the movement of employees and visitors, as well as vehicles, in your facility is properly directed. 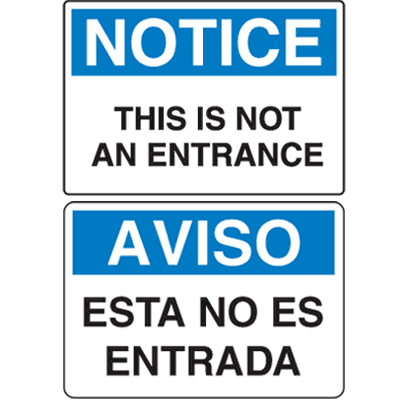 In addition, these signs, when used in conjunction with a well thought-out security plan, allows you to maximize your security resources by reducing the number of cameras, security personnel, and other security measures needed to keep your facility safe.You can also be assured that visitors and employees alike will find it easier to enter and leave your facility since these Entrance and Not an Entrance signs can help them find entrances and exits without any confusion. 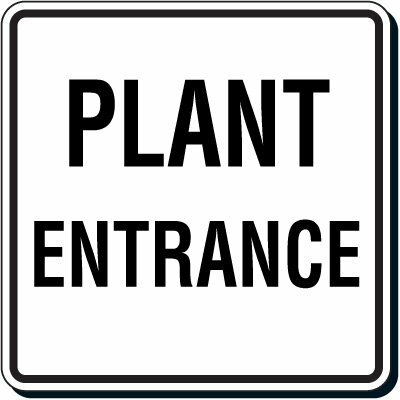 Seton's Entrance signs are easy enough to install and use. Some signs can come predrilled for quick mounting on sign posts and others can be ordered with double sided adhesive for easy wall adhesion. These signs will need to be installed in areas that are well-lit and are highly visible. 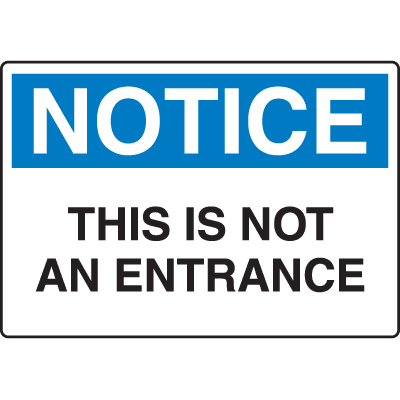 You should have a method of enforcing the "Entrance Only policy" to ensure that people use these entrances for getting into your facility only. One such method is having security guards near entrances and exits to direct people where to go. It might also be a good idea to place security devices at these designated entry points. Metal detectors and cameras posted at these “chokepoints” allow you to easily track people who enter and leave your facility easily.